These gold Earwish charms, decorated with a rainbow of colourful sapphires and diamonds, are shown here on a traditional bracelet but are designed to swing from small hoop earrings. 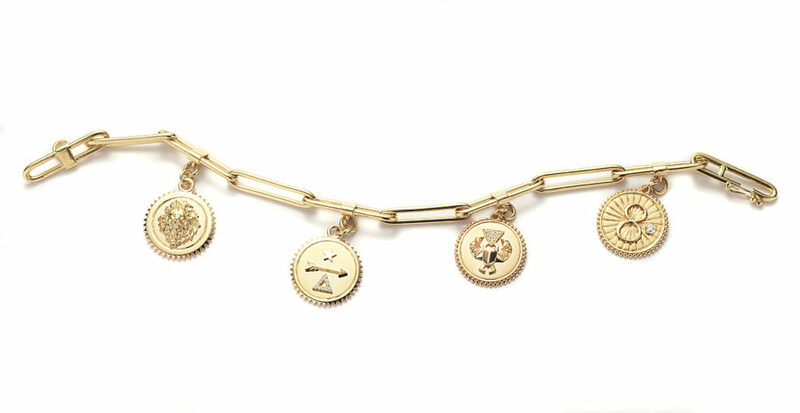 Gold and diamond charms symbolising talismanic powers like strength, good karma and protection can be fixed to totally customisable chains, worn around the neck or wrist. 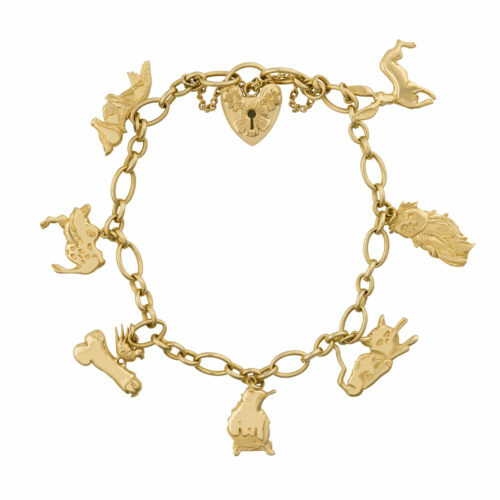 From the I Promise To Love You collection created in collaboration with artist Tracey Emin, these animal pendants can be added to a charm bracelet or worn singly as pendants. 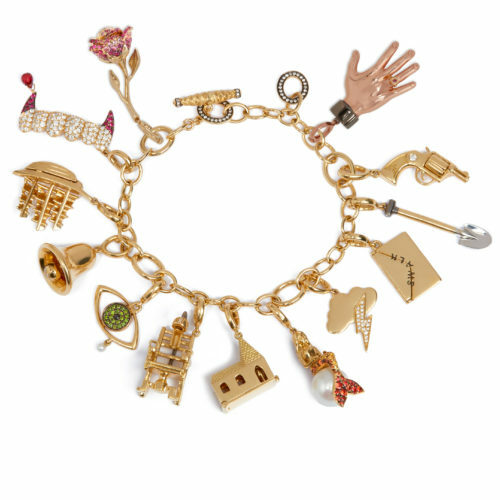 Exclusive to Net-a-Porter, this gold bracelet has been decorated with pre-selected silver charms decorated with old-cut rubies, sapphires and diamonds, paying homage to Indias history. 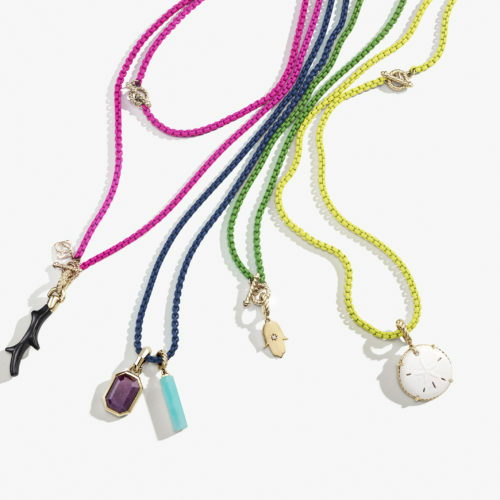 Creating bright pops of colour for summer, these Bel Aire coated stainless steel necklaces decorated with solid gold accents can be personalised by clipping on precious charms. The jeweller teamed up with Susie Cave of fashion label The Vampires Wife to create a set of charms, which can be worn on a bracelet or earrings, inspired by her rocker husband Nick Caves songs. The post A charmed life appeared first on JFW MAGAZINE.